Discussion in 'PS1/PS2/PSP on PS3' started by Fedor Wearing A Fedora, Apr 10, 2019. First you'll need to download the Sony Atrac3 Audio Codec. Google is your best friend. If the values match proceed and replace the file named atrac3.acm located in C:\Windows\SysWOW64 with the atrac3.acm file from the downloaded .ZIP. The steps mentioned above are important, without the drivers the audio conversion will fail. Proceed after finishing them. Reboot after finishing the steps above. Q: Where do i get it? Berion, sandungas, Lambada and 3 others like this. Your avatar, love it! Nice work too. Fedor Wearing A Fedora likes this. 1. What's difference between "CDDA_CONVERT.exe" and "CDDA_CONVRT.exe"? 2. Why binaries are not in release but in source section without source? 3. ISO doesn't mean disc image. ISO is a format of disc image, so You cannot say: ".CUE/MULTI .BIN ISO's". *.cue is a Cue Sheet, the directive file for image segments, and *.bin is not an *.iso. Berion and jacobsson like this. A: First you'll need to download the files from the link below, unpack them. Then you'll need to download the Sony Atrac3 Audio Codec. Google is your best friend. This is an important step, without the drivers the audio conversion will fail. 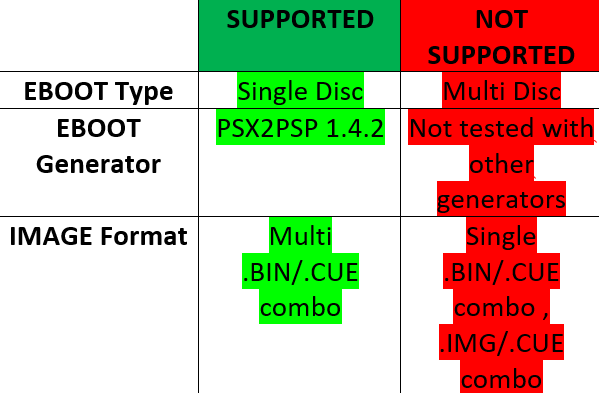 @zecoxao @MOST Hated @ayassinsayed and ZeroTolerance for initial research and work on the PSX/CDDA/PS3 combo. The tutorial that we had here was lost. So this tool can help! Update V.1.1.0 now available, updated downloadlink in OP.